Second Sight Films is delighted to announce it has acquired the UK Home Video and VOD rights to two classic films written and directed by celebrated filmmaker George A Romero. 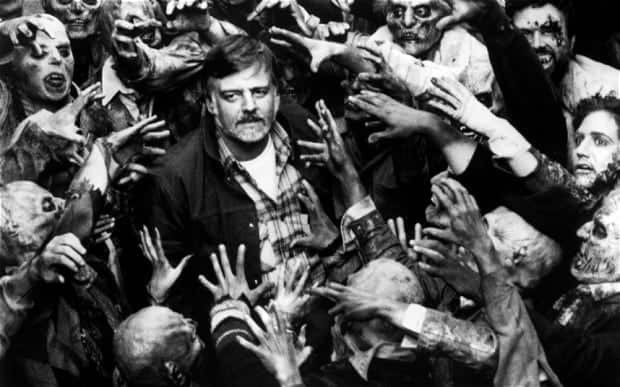 Following a licensing deal with producer Richard P Rubinstein, CEO of New Amsterdam Entertainment ,the UK distributor will be re-issuing the highly-acclaimed and much in-demand George A Romero’s Dawn of the Dead and Martin. Slated for release later this year, Second Sight plans to give the legendary films the full Special Edition treatment that it is renowned for. Recent releases from the company in newly restored Limited-Edition Blu-ray Box Sets include cult classics When A Stranger Calls/When A Stranger Calls Back, The Changeling and Xtro. All featured stacks of bonus content and stunning packaging and have become real collector’s items. Dawn of the Dead and Martinare set to arrive on Blu-ray complete with a host of brand-new special features, making them ‘must-buys’ for all horror fans and collectors. Further details on the company’s plans will be announced in the coming weeks via Second Sight Films’ social media channels. Dawn of the Dead,widely acknowledged to be one of the greatest horror films of all time,arrived ten years after the seminal Night of the Living Dead. It ushered in a new era of zombie films, showing the director once again ahead of the curve mixing biting political satire with state-of-the-art-gore for a genre defining masterpiece that packs as much of a punch today as it did 40 years ago. With a zombie epidemic escalating, a small band of survivors seek refuge in that shrine to capitalism, the shopping mall. But the undead, still possessed by an instinctive desire to consume, have had the same idea… What follows is a nail-biting thrill-ride and fight to survive. Oh, and watch out for those helicopter blades! Martin saw the director doing for vampires what he did for zombies – putting a decidedly modern twist on centuries old folklore. Both disturbing and darkly humorous, it was Romero’s own personal favourite. Believing himself to be an 84-year-old vampire, a young man stalks his victims, sedates them and uses a razor blade rather than fangs to draw blood. But is he really a modern day Nosferatu, or just a very disturbed individual? Celebrating a quarter of a century as a UK distributor of classic and cult films on DVD, Blu-ray and VOD, Second Sight Films has earned a reputation as one of the most respected experts in its field and continues to distribute high quality in-demand cult classics in premium editions.